A crescent moon wall basket storage solution from Lisa Angel. This sweet wall display is ideal for any children's bedroom or playroom. 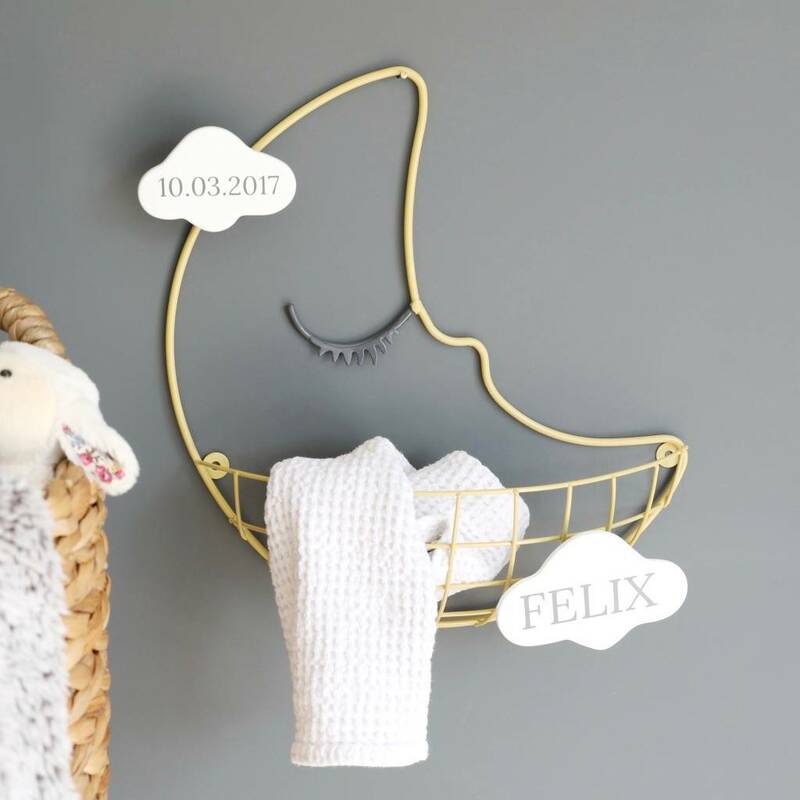 The sleeping moon design is made from metal and features two cloud fronted hooks to hang things from, as well as a basket base for larger accessory items such as baby towels, hats, and soft toys. Personalised for your home with a name and a date which means something to you, this basket is complete with 2 screws for you to secure to any wall in your house to keep the little one's items organised. We think this sleepy moon basket makes the perfect gift for new parents to decorate their little one's room with. The bottom cloud will be personalised with a name and the top cloud with a date. The name cloud has space for up to 8 characters including spaces and punctuation, but please note that font size will shrink to fit longer names. The date cloud has space for a date in the DD.MM.YYYY format.